Drop a few not-so-subtle hints that you’re expecting a Mother’s Day Brunch. Something as simple as a breakfast in bed can have the greatest impact. Adding some of her favourites to the breakfast will give it a personal touch and really warm your mother’s heart. Set aside all other plans and treat the mother in your life as a queen for the day. Spend the day outdoors, somewhere special and if possible, include the whole family. Bringing the family together to celebrate and honour their special mother, will sure bring her immense joy. Our mothers have sacrificed many things to give us the life we have, so let us show our mothers how grateful we are and how much we appreciate her. Not many individuals live within close proximity to their Mothers’. If your Mother lives very far, why not plan a special pamper day such as a “Spa Day”. Treat her to a relaxing massage, facial or find out which Spa she frequents and treat her to her favourite Spa Treatment. However, make this pamper day special by adding a personal touch; be it a little gift or message on her arrival at the Spa. 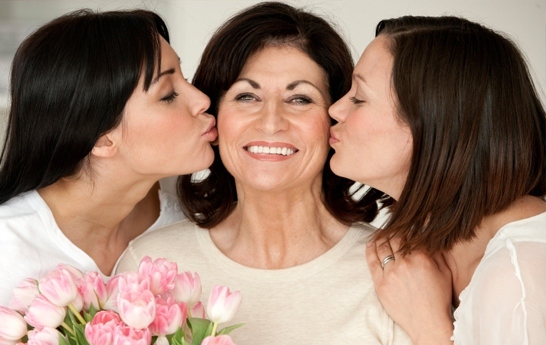 Making a Mother’s Day celebration memorable and unique does not have to be complicated or expensive. It could be as simple as taking her for an afternoon dessert, ice-cream or high tea, or simply sharing a lunch with her. What matters is that we take the time out to appreciate our mothers and acknowledge all that they have done for us. This could be the best gift of all. Encourage everyone to pitch in and let the moms in your life sit back and relax. They deserve it! Have the family prepare dinner and serve Mom on her special day. Allow her to relax and be pampered by her family. Mother’s Day is about honouring all mothers. This Mother’s Day help a mother in need by donating to organizations that help mothers and children. Mothers Day is not only about celebrating the mother(s) in your life, but to celebrate and acknowledge all mothers from around the globe. Many mothers make big sacrifices to give their children a better life and to give them the love that only a mother can offer. On behalf of the Institute of Healthy Aging we salute all mothers across the globe.